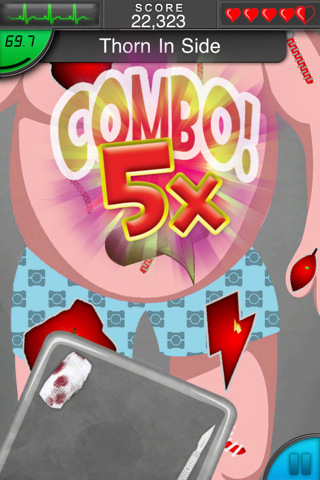 Stitches, an Operation board game throwback that skips med school and throws you straight into the operating room. Your first (and only) patient is a guy laying flat on the table with injuries that range from brain freeze to tennis elbow, hang nail, and rack of ribs. All in all the patient requires the surgical removal of 16 items, and just like the Operation board game, his life is dependent on your dexterity. Move too slow and his time runs out, but if you get messy in removing too many items, you’re sure to face a malpractice suit. Either way, the object of the game is to keep your patient from flat lining and the only way to do that is to go into each problem area (by tapping on it) and pinch the issue out without hitting the edges of that particular wound. In the case of brain freeze, for example, you have to rotate the frozen brain and then pinch the object as if you were zooming in until the brain gets big enough to pop out of the patient’s body. 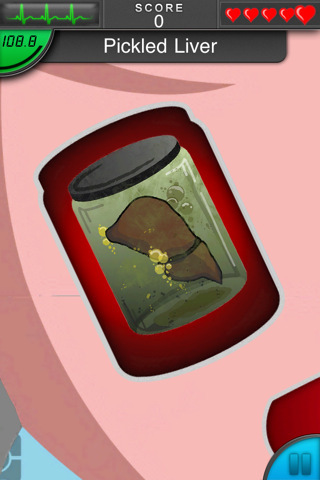 As soon as you pop the object out you drag it to the surgical tray and repeat. If you mess up the patient loses half a heart (you get five hearts in all) and his heart rate accelerates in the already scattered soundscape of the operating room. Ultimately, the trick of Stitches is to perform under pressure. Overcome the beeps and brouhaha of the first level and you continue to earthquake, beer goggle, and coffee shake operations, but beat the whole four level set and you can advance from one skill level to the next. 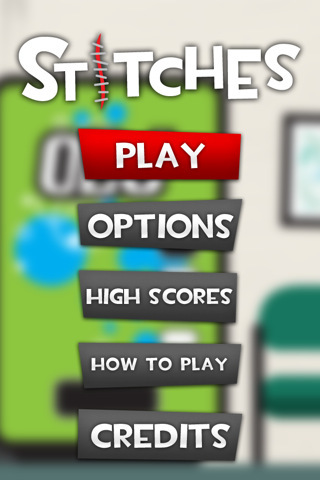 Overall Stitches is a nice iOS portrayal of the board came classic. Applied Studios could score more points with a compelling multi-player element and the first level is much harder than any of the others, but for a one dollar imitation of an already basic board game, how much game play can you expect? 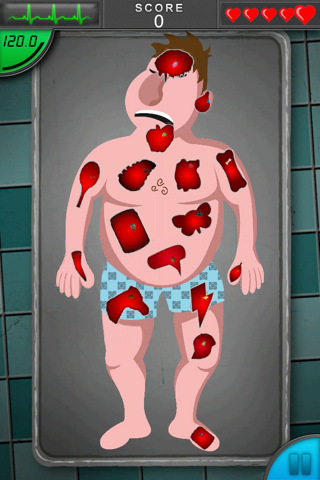 Bottom Line: Stitches is a fun portrayal of the classic Operation board game that sends you into the operating room to save a life. The patient’s life is in your hands, so keep it steady and work against the clock.